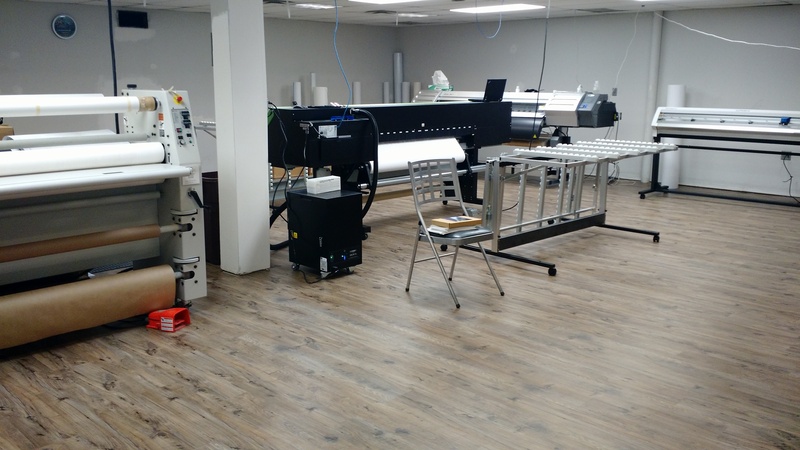 Pittcraft is excited to announce that our capabilities just expanded even further with the purchase of our new Rolland LEJ-640 UV LED Printer! 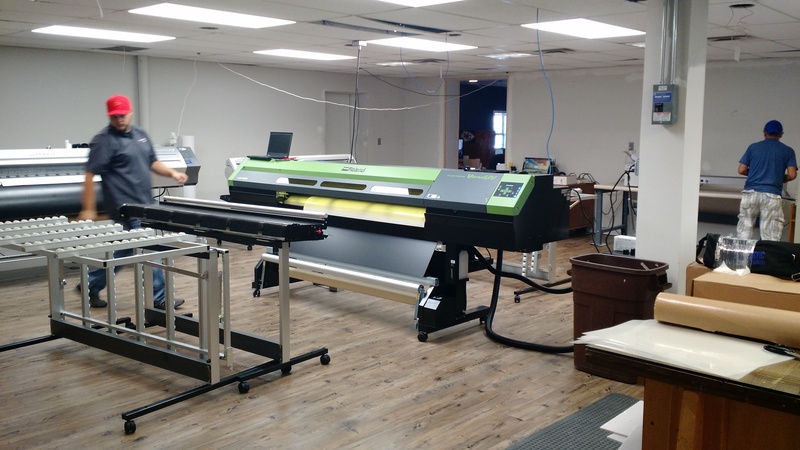 While Pittcraft has had the ability to produce high-quality banners and signs for over a decade, this press adds the capabilities of a flat-bed press, improving processes from an efficiency and quality standpoint. This press allows the user to print directly on rigid materials up to 0.5" in thickness, and as large as 4ft x 8ft sheets. The presses capabilities also provide the option to print a white base coat, something in most printing processes is unavailable. Typically in a print process, the color white comes from the color of the substrate. 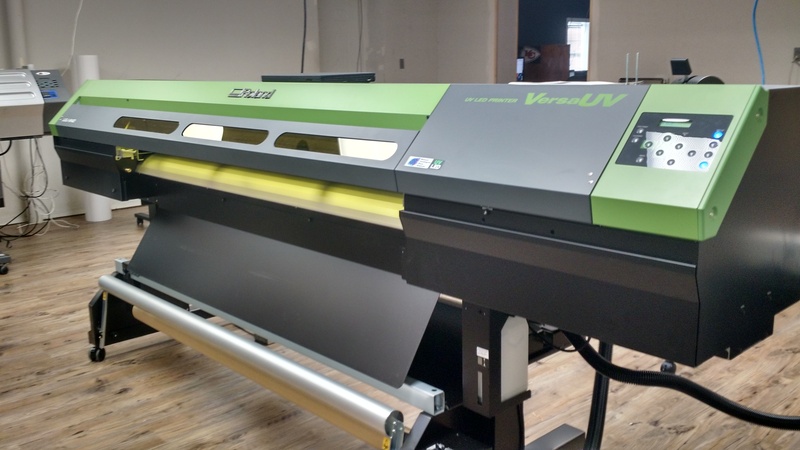 This new feature allows Pittcraft to provide vivid full-color graphics on clear material such as acrylic, or materials that aren't white, such as aluminum. In our previous process, a vinyl adhesive would be printed and subsequently mounted to a rigid substrate. Printing directly onto the material eliminates the possibility of human error when applying the adhesive, which cuts both labor, spoilage, and quality concerns. 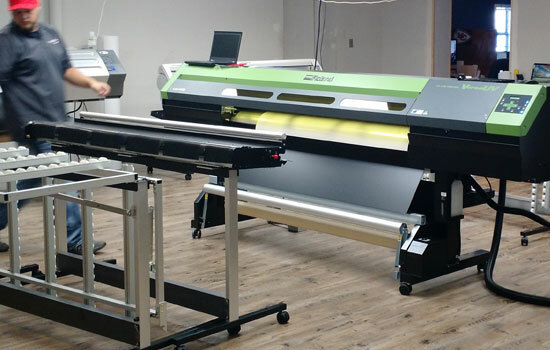 The uniqueness of this press also allows for use as a roll-fed printer, enabling print production on vinyl base roll material for items like banners, window graphics, decals, and more. 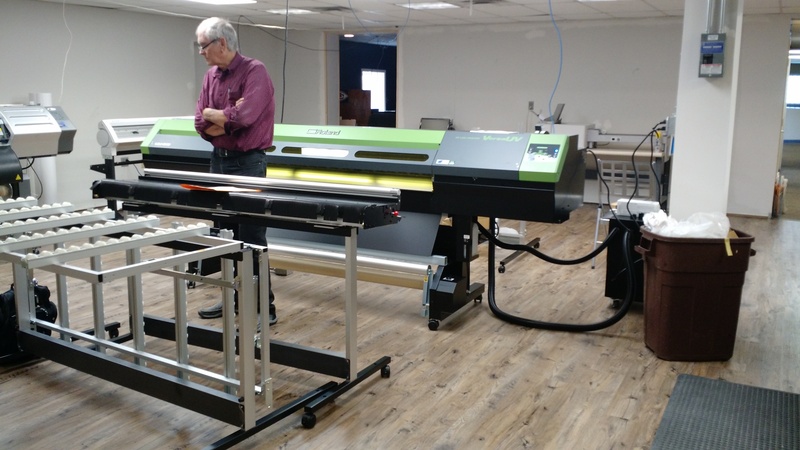 Gene Dayton, Partner and Production Manager at Pittcraft is ecstatic with this new toy, "We're excited about the options and efficiencies this will allow our clients and our team to have access to. As a person who deals with scheduling and quality control on a daily basis, I can confidently say we've taken a big step forward with the installment of this new press." < Got A Project In Mind? We'd love to hear your thoughts. Drop us a note, or request a quote using the form above on the left.